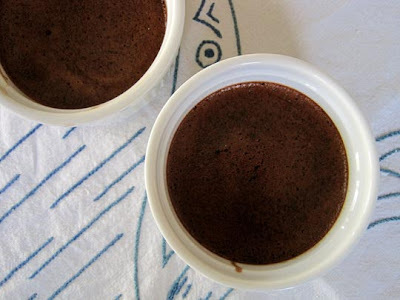 Joanna over on The Kitchn posted about these Chocolate Whiskey Pots de Creme and since I happened to have heavy cream in the fridge, I made them within hours of her post. The recipe is simple, rich and delicious. It was a total hit with everyone who tried it. 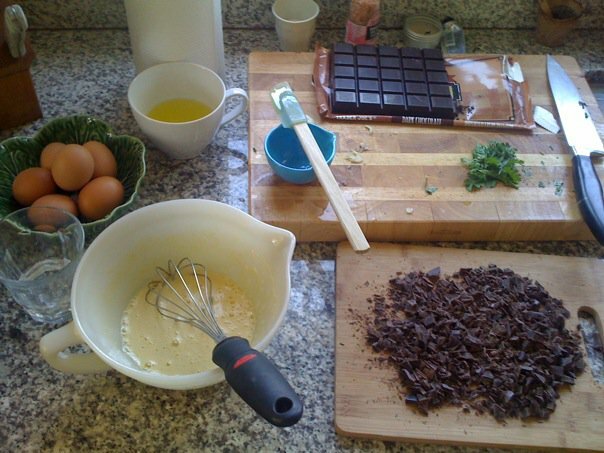 The technique is similar to a creme brulee: you simmer cream on the stove and then mix in chocolate. Let it cool slightly and then slowly add it to egg yolks and honey (and even though I'm not a huge fan of honey in general, it made the pots creamy and sweet without being too sweet). You can use a fancy chocolate, but I'm a big fan of the Trader Joe's chocolate in the brown wrapper. so yummy! My husband would love these!